Heavy duty spears for many applications. 49″ spears. 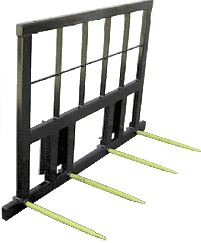 Horizontal tubes are built-in, not welded for added strength. Double spears area available for an additional $90. Prices starting at $425. Contact Jess for your custom quote today!